Here is the latest tendinopathy research over the last 2 months, with clinically applicable studies highlighted. I am enroute to the 3rd Tendinopathy conference in Oxford (5,6 Sept) and will blog some highlights after the conference. It is surprising to me that studies continue to use the Alfredson Achilles eccentric protocol as gold standard (2 studies in this research blog edition), regardless of other evidence based and in my opinion more sensible options, eg Silbernagel. Can someone please break with tradition?! Ranger et al. have used ultrasound imaging dynamically to measure the depth of the radial head in forearm supination and pronation. It is deeper in supination, as can be palpated clinically. Suggest loading for lateral elbow tendinopathy should be supination. Clinically, I agree but progress to mid pronation-supination and even pronation based on symptoms. i.e. just like any other tendon progression, can start to load into functional ranges at the right time. Kedia et al. investigate eccentric training for insertional Achilles tendinopathy. They randomized into usual care +/- eccentrics. Usual care included heel wedges, nightsplint, stretching, and ice massage. Eccentrics involved knee straight/bent Alfredson program over a step! Not surprisingly both groups improved modestly, eg mean of 20mm reduction in VAS pain. Were do we start with critique of the groups given that the nightsplint, stretching AND eccentrics over a step a hugely compressive of the enthesis! Of note 72% were females and mean BMI was 37 +/-7.5 in the eccentric and 32.7 +/- 6.5 in the control groups. Scott et al. systematically review the use of orthotic devices in Achilles tendinopathy. There was weak evidence that foot orthoses were equivalent to physiotherapy, but also weak evidence they are equivalent to no treatment. The authors suggest change in muscle activation or even greater movement variability may explain effect of orthotics, rather than the classic antipronation argument (one of the studies show a small increase in rearfoot eversion with orthotics). The airheel brace and nightsplint were equivalent to eccentric loading, but did not offer benefit when added to eccentrics, so these interventions may be options for people who are unwilling to exercise, or have less potential for gains with exercise, e.g. older and less active groups. This study by Sinclair et al. looked at 12 male runners without Achilles tendinopathy, and found that Achilles tendon force and loading rate were lower when they ran with orthotics. Achilles force was calculated from 3D motion capture and force plate data using inverse dynamics. This study provides mechanistic evidence for the use of orthotics in Achilles. The fact remains clinical evidence for orthotic use in Achilles pain is very limited, and this is not helped by the one size fits all approach in clinical studies. Clinically, change in pain, comfort, improved load attenuation in hopping, etc generally bode well in regards to predicting the success of orthotics, especially when there is no clear structural/compressive tendon issue to address. More research into subgroups, prediction of orthtotics success is needed. Crill et al. interesting study investigating calf muscle architecture following eccentrics in midportion Achilles tendinopathy patients. Participants performed 8 weeks of Alfredson eccentrics as well as gentle stretching, US, interferential. The main outcome was gastroc fascicle length, pennation angle and muscle thickness. 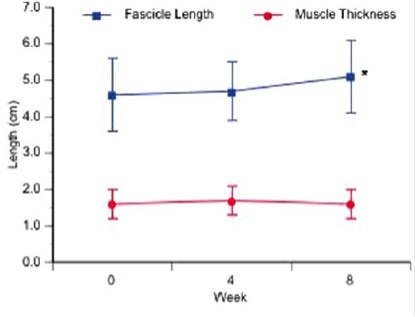 Only medial gastroc (not lateral gastroc) fascicle length increased by 6.3mm from baseline to 8 weeks (about a 13% increase). This may be beneficial in Achilles tendinopathy, particularly given increased fascicle length is often associated with rightwards shift in length-tension. This means that Achilles patients who spend more time in ankle DF than they should (e.g. land from a hop with a flat foot and then go into end range DF) will at least be stronger at this end range position. Question is does it need to be isolated eccentric? Would concentric-eccentric loading into end range have the same effect? I think yes. Age old questions and ones that I have asked before several times. I had not heard about EPI before I taught in Spain and the physios there spoke highly of it. It is very painful to administer and interestingly the authors warn about positioning the patient in anticipation of a vaso-vagal fainting reaction. The authors report excellent/good satisfaction in all but 1 case. VISA scores improved at 3 months and stayed better at 2 years. Obvious issues are lack of placebo control. Limited discussion of pain during treatment and potential mechanisms – it must work on the pain system at some level, eg noxious inhibitory control, as with shockwave but more brutal? I would love to trial it! Drew et al. systematic review of diagnostic tests in groin pain. Groin pain groups included multiple diagnoses in 5 of the 6 studies. Included studies looked at sensitivity and specificity of imaging (MRI, herniography, ultrasound) – sensitivity was between 68-100%, but specificity was between 0-100%. Physical examination sensitivity/specificity was also evaluated for palpation, single leg adduction test, squeeze test, bilateral adduction – specificity was 88-100%, but sensitivity was 30-86%. Only bilateral adduction and MRI of adductor pathology increased the post-test probability of a diagnosis. As with all complex diagnoses (e.g. 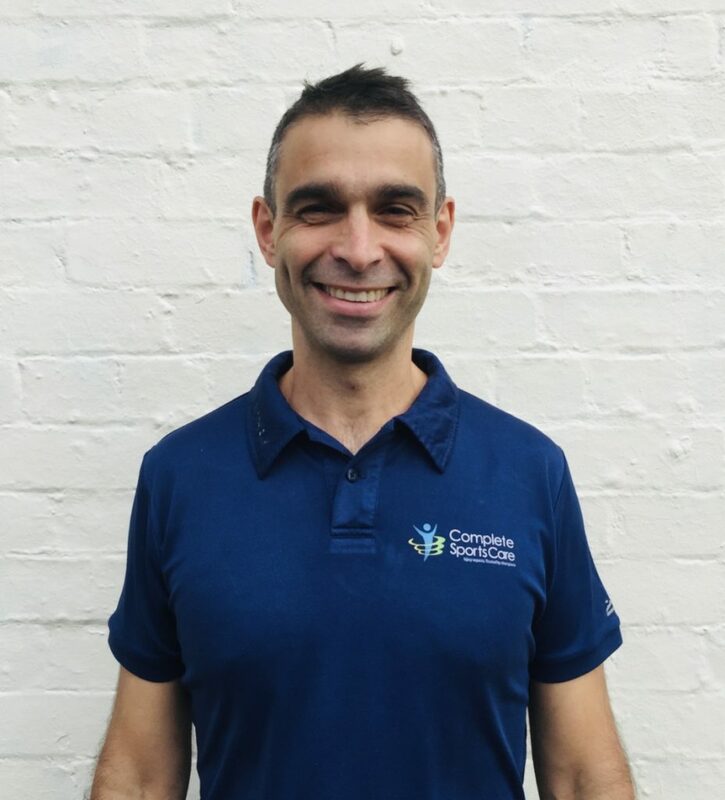 shoulder, groin, and selected other tendon sites), diagnoses is based on multiple factors including pain site, history of inset and behaviour, loading and special tests, and differential palpation; so it is not surprising that single tests often fall very short of accurate diagnosis.